UK Visa Application in Nigeria – A lot of Nigerians are in daily search for a way to get visas to the United Kingdom for several reasons like study, work, tourism, holidays or just residency. A large number of theses Nigerians have no idea about how to get visas to this country, my guess is if you are reading this article, you are probably also seeking for information on how to get your visa here in Nigeria. Well, you need not worry any longer, this article aims at providing you the necessary detailed information on how to process and get your visa right here in Nigeria. To apply for a United Kingdom visa there are several requirements you must satisfy, the major ones will be discussed in this article. The first condition you should satisfy is being in possession of a valid Nigerian Immigration Passport which should be valid for a minimum of thirty days after the prospective applicant’s intended stay in the United Kingdom expires. To apply for the Nigerian Immigration Passport you just need to visit the immigrations office in your state of residence. You can also make the passport application online, this process is usually faster and less cumbersome. As with other visas, to apply for the United Kingdom visa you have a variety of choices at your disposal. For immigrants who have a plan to stay in the United Kingdom for a long period of time, it is advised that they apply for a Long Term Visa. To do this you will be required to provide genuine reasons why you should be afforded the opportunity to stay in the United Kingdom for that long. The most common type of visa applied is the visitor’s or tourist visa. This visa is usually issued on the condition that the applicant is planning to stay in the United Kingdom for a very short period of time. The major purpose for this visa lies among any of these, visitation of family and friends, going on holidays or vacation, trainings, conferences, business transactions, medical reasons, etc. A transit visa is issued to an applicant basically to cover the person because he or she is passing through the United Kingdom. Official or diplomatic visas are issued to government officials or individuals who are representing the government of a country or representatives of world renowned Non-Governmental Organizations. The Students’ visa is issued to students who are planning to study in the United Kingdom for long periods of time, probably between one and three years or more. The UK visa application form which has to be filled and submitted online. A single passport sized color photograph, which was taken with a white background. The passport photograph should be recent, maximum of six months old and it should be of this size, 45mmx35mm wide. Payment of the visa fee. An evidence of approved permission to be in the United Kingdom, if you are not an indigene of Nigeria. An example of this is green card, residence permit, visa, etc. A photocopy of your passport data page. A letter of invitation, probably from your school or the individual or group you are going to visit. This letter should state in clear terms why you should be permitted into the UK and what aim you are traveling to achieve. Original bank statement which should be recent, at most six months. This is to prove that you will be able to fend for yourself when in the United Kingdom and not become a liability. Original birth certificate for children traveling with their parents. Applicants traveling for business purposes, conferences or trainings should ensure to attach a letter of invitation or confirmation of the event they are going for. This should also contain the details of the company’s authorized representative, their physical address and phone numbers. A copy of utility bills. Details of flight and hotel bookings. You can visit the United Kingdom Immigration visa requirements webpage to be more enlightened about the requirements. Step 1: you can apply for the United Kingdom visa at Teleperformance, which has its application centers in both Lagos and Abuja. Teleperformance works in partnership with the government of the United Kingdom, helping to issue visas and handle immigration issues on their behalf in Nigeria. This helps to make the visa application process easier and faster, provided all the necessary documents are made available. Step 2: You can visit the United Kingdom Immigration and visa website to make inquiries about the exact kind of visa you should be applying for with respect to the trip you are planning. The UK visa fees vary depend on the category of visa you are applying for. If you are applying for a regular visitor’s visa on a short term basis, the standard application fee is $141. From the UK Immigration and visa website you will be able to fill out the application form, find out the application fees and also book an appointment with the UK visa application center. 11 Walter Carrington Crescent, Victoria Island, Lagos. Dangote House, Aguyi Ironsi Street Maitama District, Abuja. Step 4: You will also be required to submit your personal details and any other relevant information on the Teleperformance website once you have booked your appointment with the visa application center. A failure to register may result you being prevented from attending your appointment with the visa application center. Registration on the Teleperformance website also affords you the opportunity to track your application process via the website. A hardcopy print out of your online registration form. A hardcopy print out of the appointment confirmation. Other documents which you received in the email sent along with the appointment confirmation. After the payment of your visa fees at the UK visa application center, your photograph will be taken and your fingerprints as well. Once you have undergone the biometrics process your visa fees can no longer be refunded. 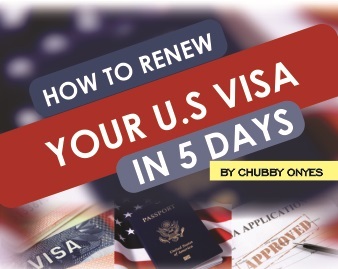 When going to attend your visa appointment, ensure you are right on time. Arrive on the stipulated date and before the time scheduled for your appointment, to be on the safe side. A default in the date may result in the delay of your visa application process as a new date will have to be scheduled. A statement on the Teleperformance website states that, resulting from the global changes in the manner which visa applications are processed, children who are under the age of five will now be required to visit the visa application center to complete their visa application process. It is now compulsory that their photo and other biometric information be taken at the visa application center. This does not however affect those who have already submitted their applications. The submission of the application requirements along with the ECOWAS passport can be submitted at any of the United Kingdom Visa Application Centers located in Abuja or Lagos. The submission can be done on any of the working days of the week that is between Monday and Friday, between the hours of 8.30am and 4.30pm. This does not include public holidays as the offices will not be open for operation. Normally, the processing of the visa application should take between four to six days, all things being equal. In some cases however, especially those relating to people with a history of crime or visa application rejection, the processing period might take a while longer. There is a premium service which will ensure that the processing of the visa application is completed within a day, this service however comes at a very high price. Parents collecting for their children. Or in the case that a family applied together and one of them is asked to collect the documents on their behalf. You can also track your application online via the Teleperformance website. If the applicant has previously been deported from the United Kingdom. If the applicant has served a jail term of four years or more. If the applicant is withholding information regarding previous crime convictions. If it is noticed that the applicant lacks the necessary funds. Submission of falsified documents on previous visits to the United Kingdom or overstaying previous visits. If the applicant does not comply with the application requirements. If the applicant is found wanting in any of the application documents. If the reason tendered for the visit seems flimsy and not worthy of approval. What can you do when your application is rejected? Usually the letter of refusal states the reason for the visa rejection. If the visa was rejected due to any reasons stated in the points-based system, the applicant can apply for an administrative review. The rejection letter will carry information on whether the rejection can be appealed or not. If no specific reason is stated, then the applicant will have to reapply. Note that the appeal process is likely to take up to twelve weeks, beginning from the submission of the appeal to the hearing and final decision. I hope this article has been of help to you. If you have any questions, use the comment area. We will respond as soon as possible. 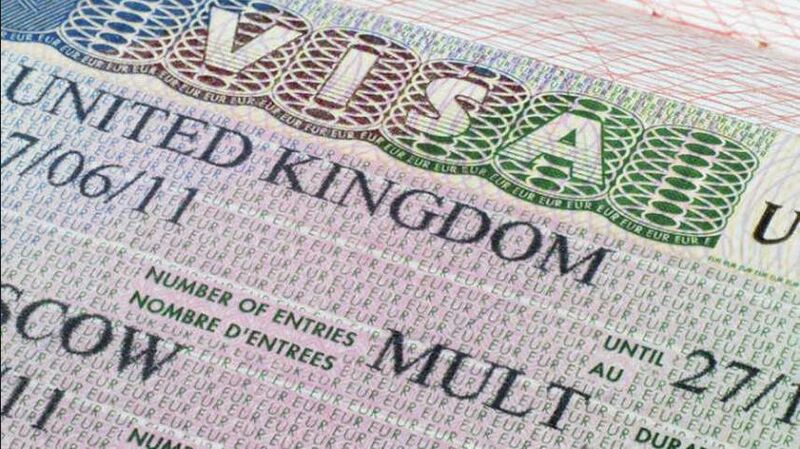 UK Visa Requirements in Nigeria – READ THIS BEFORE YOU SUBMIT! If you are refused, is your visa fee refundable? Is a person who maintains a business account of which he is the sole proprietor of his business and sole signatory to the account where his fees are being paid to, required to provide a separate person savings account ?